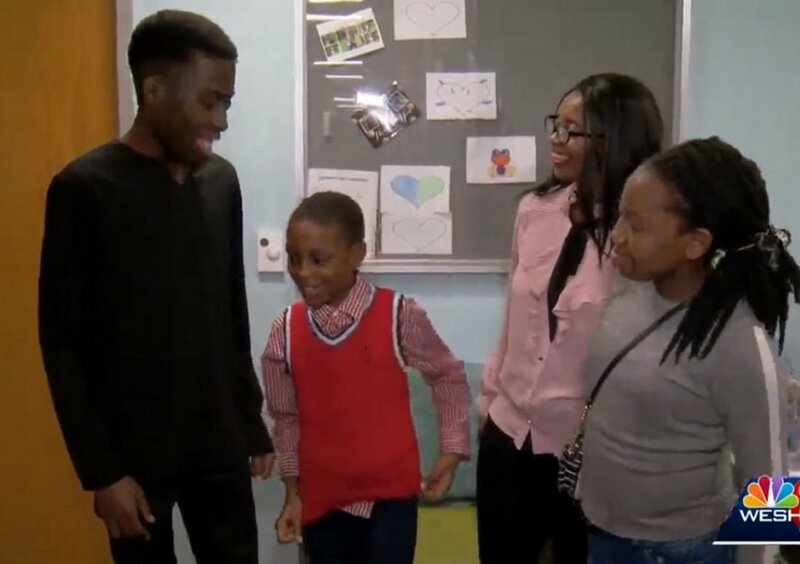 In an act of selflessness and bravery, 8-year-old Florida boy Stefan Aihe is being hailed a hero after he donated his bone marrow through a transplant to his older brother and sister who were born with sickle cell anemia. According to WESH 2 News, Stefan’s bone marrow which in the rarest of occasions matched that of his 22-year-old brother Kingsley and his 13-year-old sister Vanessa was administered to the former last November and the latter some years back. His siblings are now forever indebted to his selflessness as they are both cured of the disease which is symptomized with excruciating pain. “It’s kind of a bit of a miracle, in my opinion,” Kingsley said. Their mother also shared her joy and gratitude adding that Stefan was over the moon to be able to donate to his siblings. “I feel like God did it for us, so we were blessed,” she said. WESH 2 News further reports that Dr. David Shook, who disclosed bone marrow transplants are the only cure for the disease with a 95% success rate was amazed Stephan was a match for both of his siblings. “It’s incredibly rare to have the same donor give to two different siblings. It’s uncommon, but it’s not impossible,” Shook told them. Sickle cell disease (SCD), or sickle cell anaemia, is a major genetic disease that mainly affects people with African, Caribbean, or Middle Eastern ancestry. The disease causes the normal round shape of red blood cells to become like crescent moons. Round red blood cells can move easily through the blood vessels but sickled shaped cells interconnect and can result in blood clots, according to the WHO. These blood clots can cause extreme pain in the chest, back, hands and feet, and eventually damage the bones, muscles and organs. Victims of sickle cell often feel tired, weak and look pale and the whites of the eyes and skin do sometimes develop a yellow tint. Other environmental triggers of the disease include cold temperatures, dehydration, excessive amounts of exercise and tobacco smoke. In the United States, sickle cell is the most popularly inherited blood disorder affecting 70,000 to 80,000 Americans, with an estimated 1 in 500 African Americans having the disease, according to the U.S. National Library of Medicine. 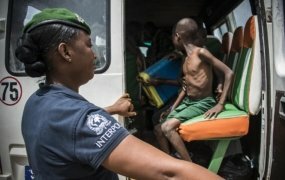 In Africa, the majority of children with the most severe form of the disease die before the age of five, usually from an infection or severe blood loss. In countries such as Cameroon, Republic of Congo, Gabon, Ghana and Nigeria, the prevalence is between 20 and 30 per cent while in some parts of Uganda it is as high as 45 per cent, statistics from WHO said.